Hi, just a reminder that you're receiving this email because you have expressed an interest in EFC-ER. Don't forget to add jmcdonald@efcer.org to your address book so we'll be sure to land in your inbox! 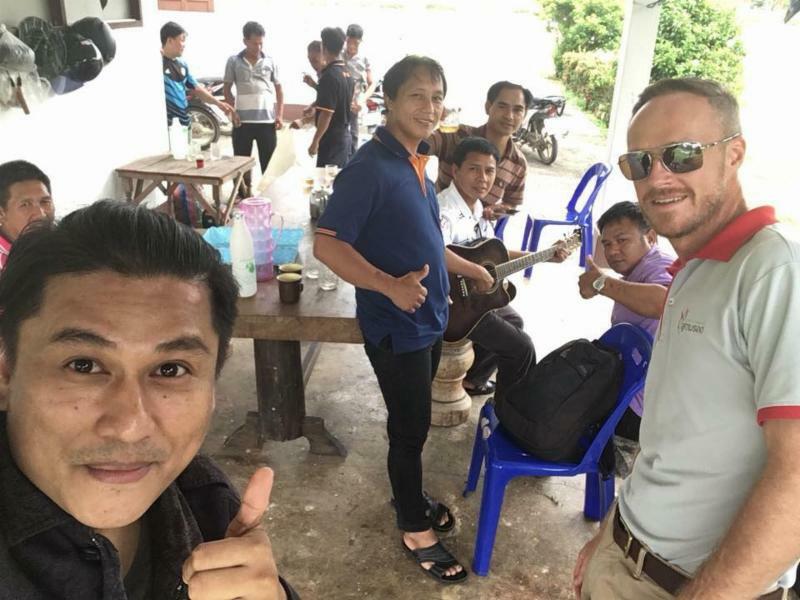 Ben and Charity Kibbe - Pray for Ben (pictured on the right wearing sunglasses) as he trains volunteer pastors in Thailand in a new 2 year program. The pastors will be taught discipleship and leadership principles, and how to provide a sustainable income for their families (2 Timothy 2:2). 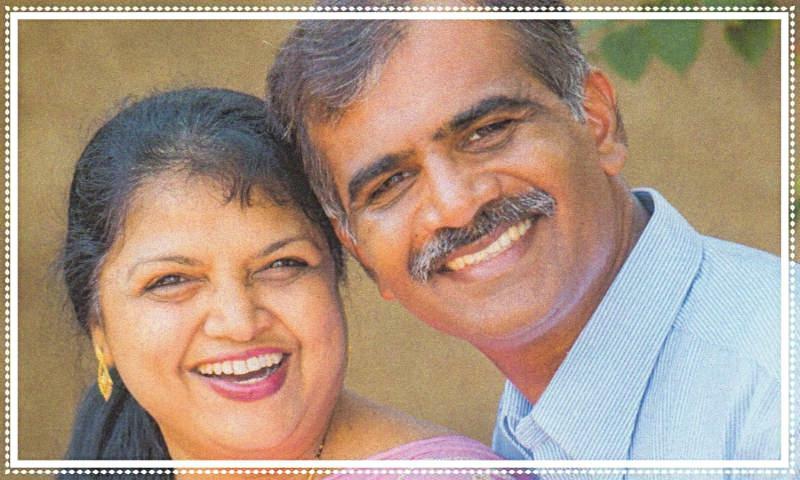 Arun and Shobha Massey are scheduling dates in EFC-ER during October. Contact Julie Jenkins ( jjenkins@efcer.org ) to schedule them in your church service, Bible study, prayer meeting, or other small group. ﻿A conversation over a meal is a good way to hear updates about their restructured children's ministry. * September 3 - Labor Day. Evangelical Friends Headquarters CLOSED. * September 14-16 - Men's Retreat. Contact Ryan Camp at (614) 746-5310 for information. Updates, including registration form, are available at www.meninmissions.org . * September 28-29 - Malone University Homecoming. Details available at https://www.malone.edu/alumni/events/homecoming/ . * September 18-20 - Ministry Teams and Oversight Board Meetings at the Evangelical Friends Headquarters. * September 28-30 - Southern Women's Missionary Fellowship Retreat. Watch the promo video here . Download the brochure here . * October 12-14 - Northern Women's Missionary Fellowship Retreat. Save the date! Questions? Contact Megan Condo . Download the brochure here . * October 13 - Friends Adult Ministries Retreat at First Friends, Canton featuring Jericho Road Quartet. Download the flyer here . Contact Paul Johnson or Kate Harris at 330-966-2800 with questions. * October 31 - November 4 - EFC-NA/ EFM Fall Meetings in Wichita, Kansas. 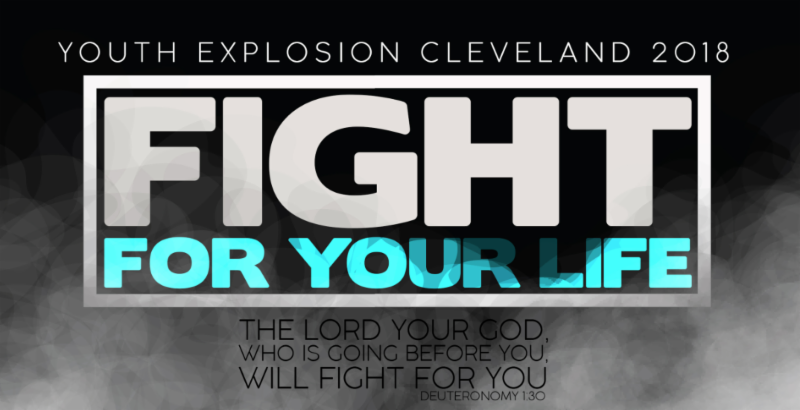 * November 9-11 - Youth Explosion 2018. Find out more at www.yecle.com . 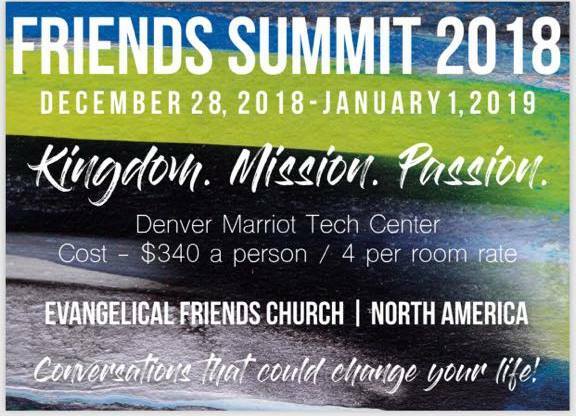 * December 28 - January 1 - Friends Summit 2018 in Denver, CO. More information available at www.friendssummit.com . You can watch the highlight video here .